Gutted 550 paracord in your color of choice. Pliers (optional) for squeezing together melted cord ends. Or, use your fingers if you don’t mind a little melted plastic on your skin. 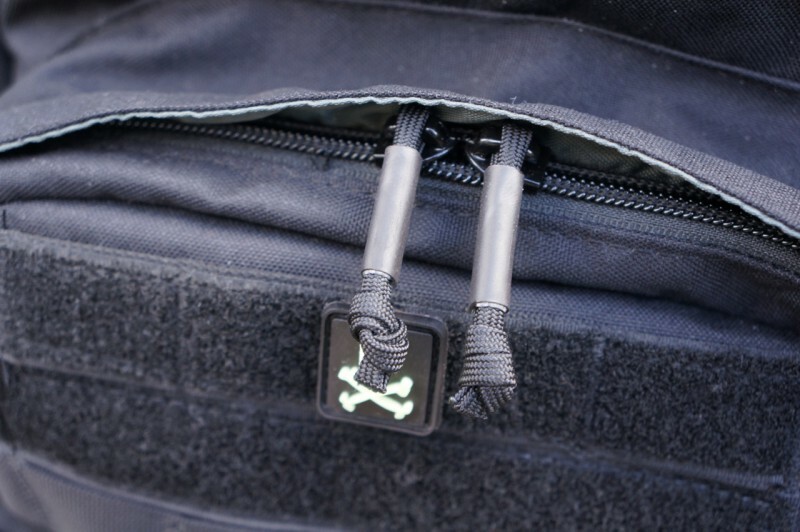 The first step is to cut lengths of paracord for each zipper pull. (Better to have just a little more than not quite enough.) Then, gut these paracord sections, removing the inner strands. 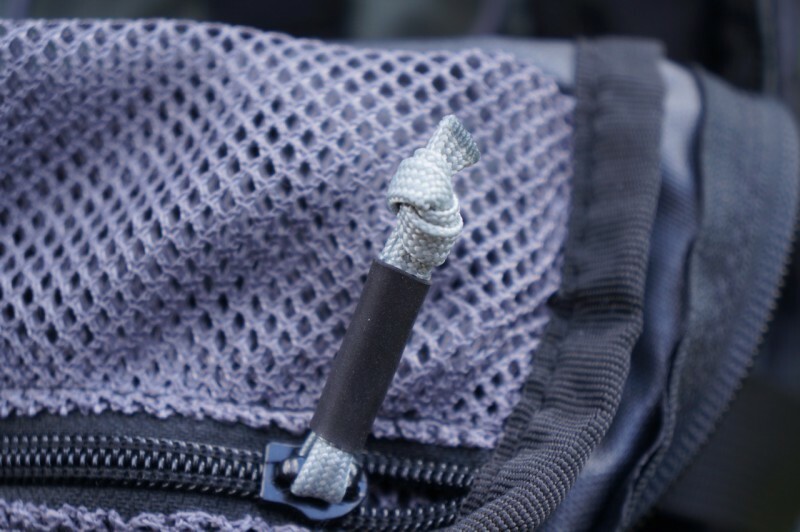 Thread a piece of cord through the zipper opening. 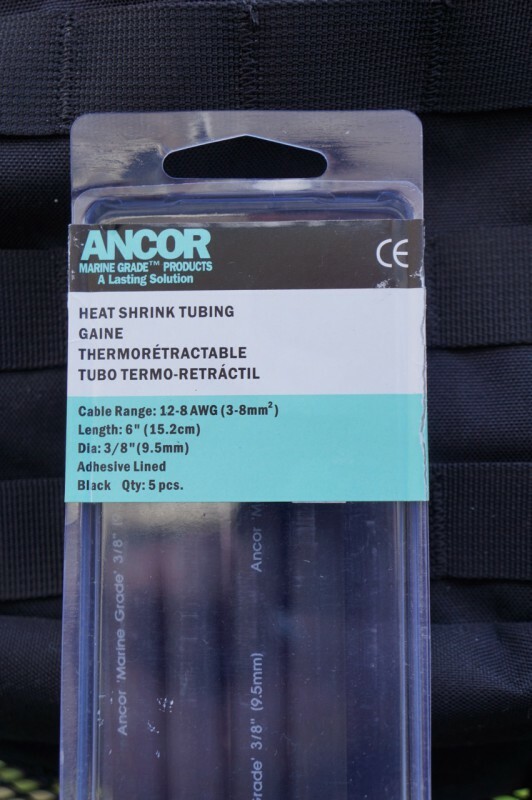 Next, cut a section of the heat shrink tubing (~1.0 to 1.5 inches works well to start). 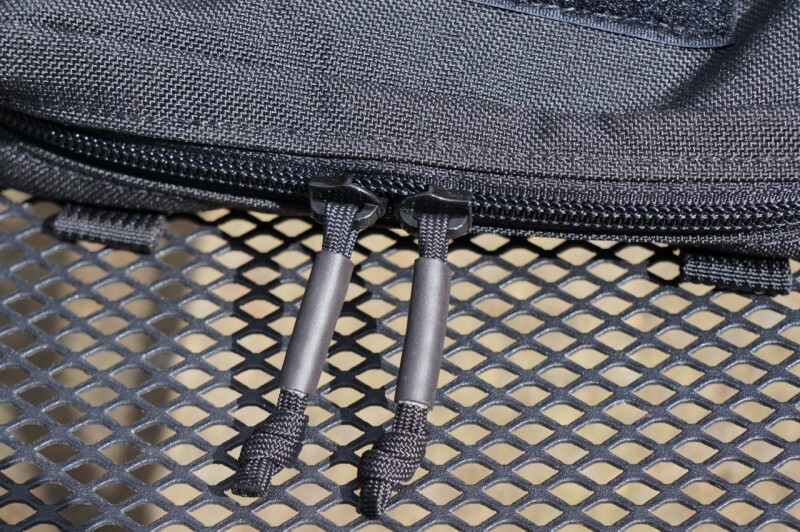 Feed the gutted paracord through the tubing, and hold it steady. Use the heat gun to evenly shrink the paracord, which will also melt the adhesive glue. Finally, tie the paracord ends into a knot. Now hit the loose, frayed ends with a lighter and pinch or crimp them together. (Needle-nose pliers come in handy here.) Done!